The Department of Culture Heritage and the Gaeltacht has issued new guidelines on Section 481, the Irish tax incentive for the film, television and animation industry. One of the key elements of the incentive is that producers are required to develop the skills of those working on the relevant production benefiting from the incentive. “We welcome the new skills development requirement linked to the Section 481 tax credit, as we believe it will provide a strong structured basis for the sector to grow and develop in the coming years, focusing on the skills of the individuals working within the industry. The new skills development requirement is wide-ranging and inclusive, covering skills development across all levels of production, focusing on quality over quantity in terms of the outcomes it delivers. “We look forward to working with the Department of Culture, Heritage and the Gaeltacht who will now be administering the incentive with the Revenue. We also look forward to the expected publication of guidelines on eligible expenditure and PAYE/Schedule D employees from the Revenue, which will help ensure the incentive works more efficiently. 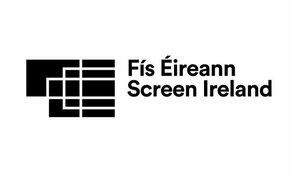 The screen industries have a Gross Value Added of €692 million to the Irish economy. *The 5% Regional Uplift is subject to EU approval.